The longboat down Bangkok's Chao Phrsaya River is another way of soaking up the city's culture and it is also an alternative to the tuk tuk. You can make a few purchases on the open pretty murky waters. It is more exciting when you watch the locals at work and see the city classic monuments in the background as you take a long boat trip. 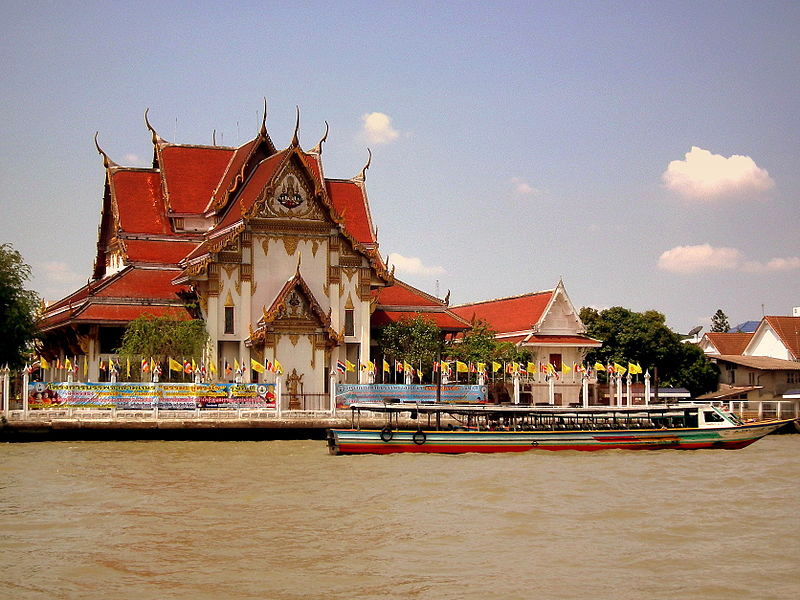 The valley of the Chao Phraya River is where the capital of the Ayutthaya province is located. It just a short train ride from Bangkok. The city that was once a royal province is now filled with religious ruins and crumbling temples that is the main reason the site is regarded as a World Heritage site. Get a chauffeur that will be available all day to take you to few of the temples to see the golden buddhas and pretty sites. The temple of the reclining Buddha which is also known as Wat Phra Chettuphon Wimon Mangkhlaram Ratchaworamahawihan is the resting place for the reclining Buddha. The golden statue is pretty impressive and it is 43 meters long located just opposite the Grand Palace. Bangkok's Giant Swing stands among the city's highest skyscrapers at 27 meters tall. During the annual swing ceremonies, it always plays a major role as teams of Thai men would come here to compete with each other. In this fierce competition, many men have lost their lives and today, it is one piece of history. The villagers of Ban Khok Sa-Nga have a thing about snakes. Over the years locals have built up a collection of hundreds of the reptiles and most families keep one inside the house. This bizarre pet snake custom dates back to 1951 when a traveling, medicinal salesman began putting on snake shows to attract customers. Today, you can watch a snake show with most local men. Backpackers flock in time to celebrate the native ritual of the full moon on the southern island of Koh Phangan. This event is known all over the world as one of the greatest and biggest all-night party. While the tranquil island transforms into the party capital of Southeast Asia, you can imagine the fire slides, big booty shakings, neon paint and dirty buckets. These excite are the major reason why people are always drawn to this place. Patpong is also known as Bangkok's red-light region. The Patpong is more than just bare-naked dancing and tushis, ever since it acts got cleaned, it is now a place for shopping and lively entertainment for any backpacker. In Silom's night-time hotspot, you have to bargain hard in order to party harder. There is this saying in Thailand “Either you are a boy or girl, Thai or no Thai, it is a must to buy these fashionista pants. The Harem pants are the new jean, it is comfy and light. It is also available in a variety of different patterns. You can get yours I any market, get this new style and become a trendsetter. A scene on James Bond and The Beach movies were shot across these sands. The Phi Phi and the Mayan beach are two iconic places. We are not surprise why celebs end up going there to catch fun, the impressive views have made everyone want a photograph of this lovely location. A scene on James Bond and The Beach movies were shot across these sands.